Experience some of the fiercest battles of WWII across North Africa with Mare Nostrum. 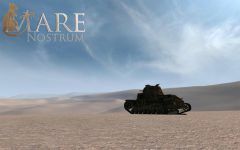 Building on the realistic, tactical game play that made Red Orchestra: Ostfront 41-45 a fan favourite, Mare Nostrum lets players battle it out in an all new theatre of war. Featuring British, Australian, German and Italian nations, choose from a range of authentic weaponry or crew 1 of 10 fully realised vehicles. 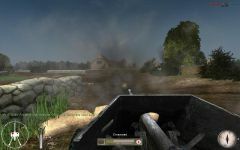 With 8 different battle environments the game play is varied from gritty street to street fighting in urban surroundings, to all out tank warfare in the open desert. This is North Africa, but not like you have seen it before. 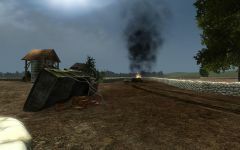 On the 17th October 2008, Mare Nostrum became the first, third party game MOD to be made available on Steam. Sandstorm Productions is happy to announce that the latest update to Mare Nostrum is now available along with 26 brand new Steam achievements! Mare Nostrum is free to all those who own Red Orchestra and can be simply downloaded and installed through Steam. · 26 all new Steam achievements. · Full Italian and Polish localisations. tank variants, plus the Stuart I, Matilda II and Vickers Mk VIB. Crete - Fallschirmjäger units dropping into the midst of Australian defenders in this classic battle. Ancona Approach - The Fallschirmjäger are back in action, this time defending against the Polish advance in eastern Italy. Gazala Line - Desert tank warfare does not get bigger than this. Start your engines and prepare for total war. they be able to hold out? valuable port without a struggle. So whether it is the North African campaign, roaming the deserts in the armoured vehicle of your choice or the bitter fighting in Crete and mainland Italy, new and old players alike will get a chance to see why RO remains a classic. 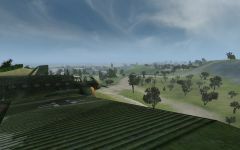 Now with the opportunity to re-play those battles RO-style, courtesy of Mare Nostrum! For more information on the mod (and to see the trailer) head to the Steam page. Brilliant mod, i congratulate the whole team. There's two servers with 50 people and one with 20. I really wish that shells popped out of the gun when you fire it. Good to see some Fallschirmjäger in the mod now,though not totaly glad with them.But there a good start,and hope little things maybe fixed later on in updates?.